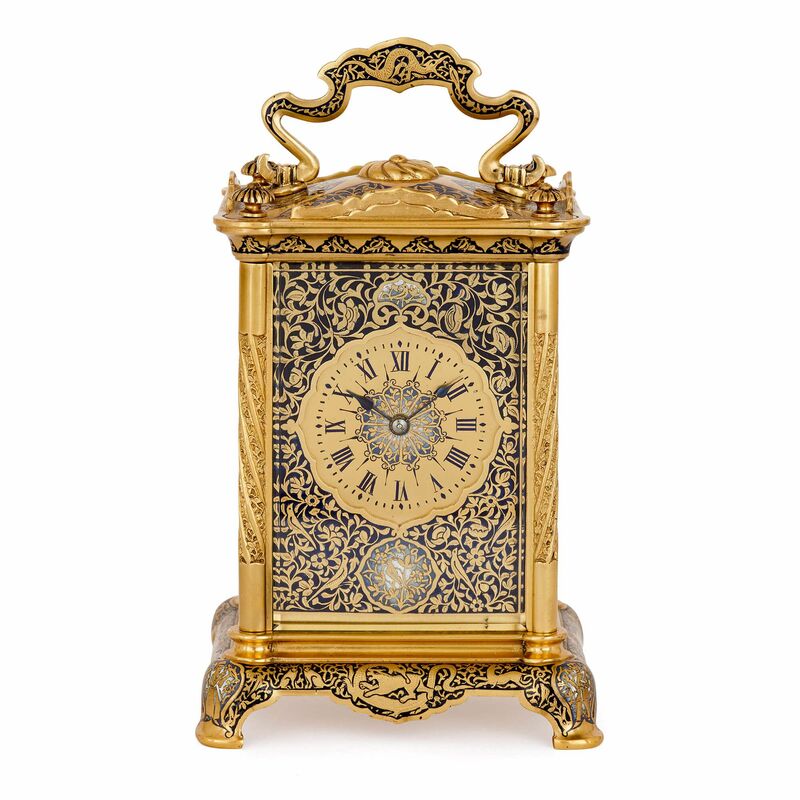 This antique French carriage clock features some remarkably intricate enamel decorations all over, which contrast beautifully with the lustrous ormolu casing. Carriage clocks first appeared at the beginning of the 19th Century France and were designed for travelling. 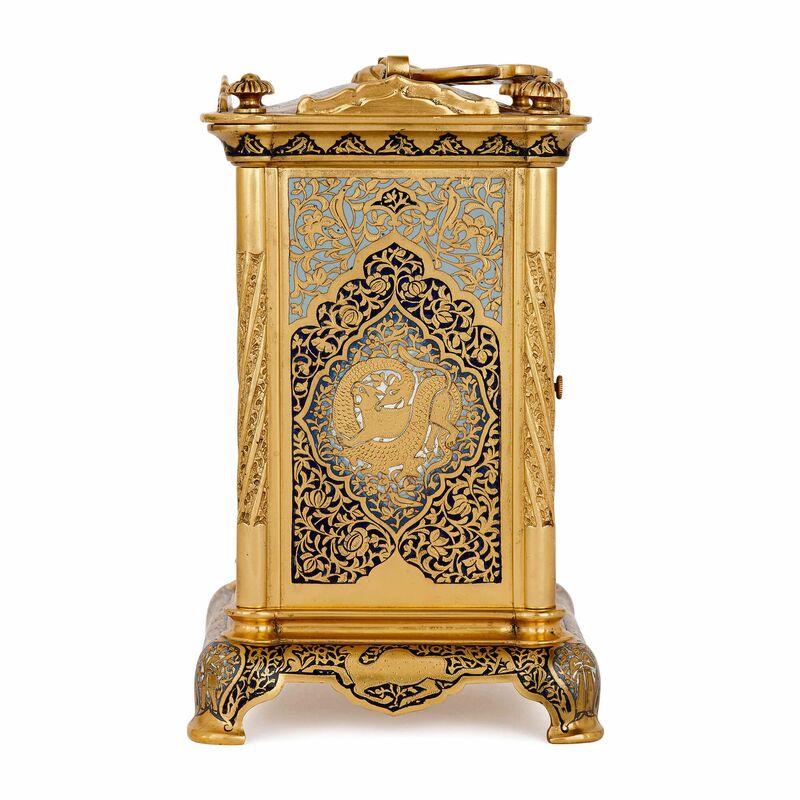 This fine 19th Century carriage clock is formed with the traditional rectangular design with surmounting handle that came to characterise these refined timepieces. 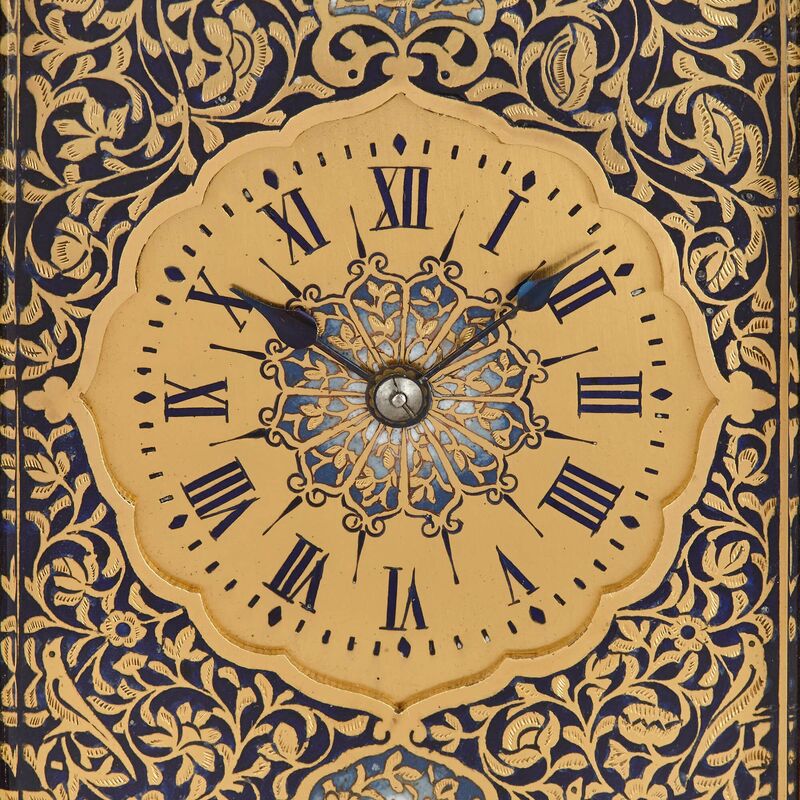 The clock is profusely decorated to the highest quality, setting it apart from other carriage clocks of the time. 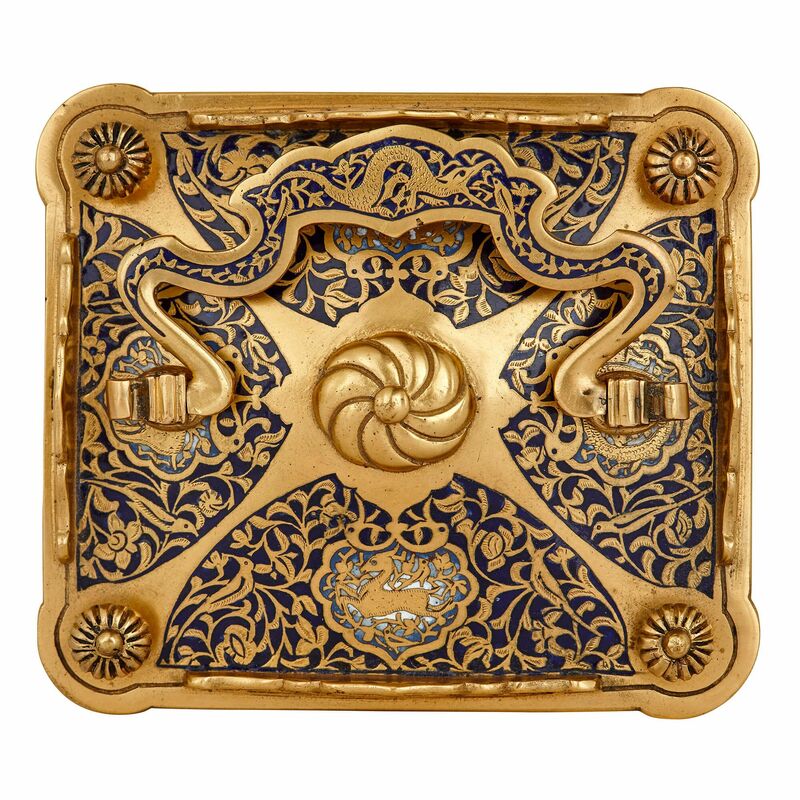 The rectangular ormolu case features columns to each of the four corners, which are decorated with stippled designs of twisted, fluted flowers. 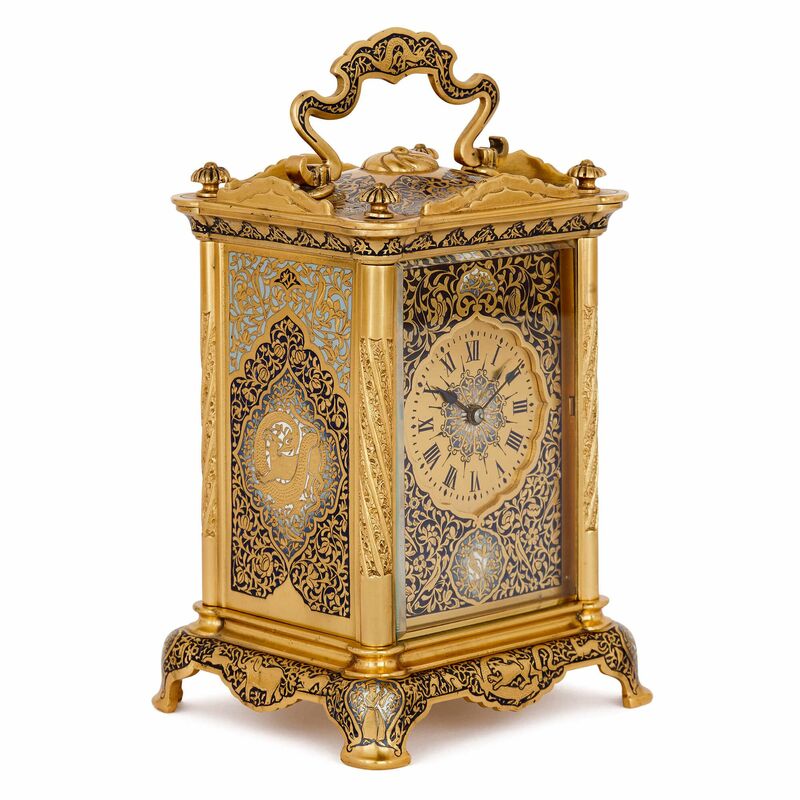 The clock case is set to the front with a circular dial with a petal-form rim, with Roman numerals in a circular formation around a central enamel design of foliate patterns on a blue ground. Around the dial, the front, top and sides of the clock are decorated with further intricate scrolling floral enamel patterns with birds, depcited in rich, ink blue and contrasting powder blue tones. To the sides and reverse of the clock, the enamel designs are centred by depictions of mythical beasts. The top of the clock is surmounted by a scrolling enameled handle, which is set above a shallow ormolu finial and surrounded by small ormolu pediments and pins on all sides. 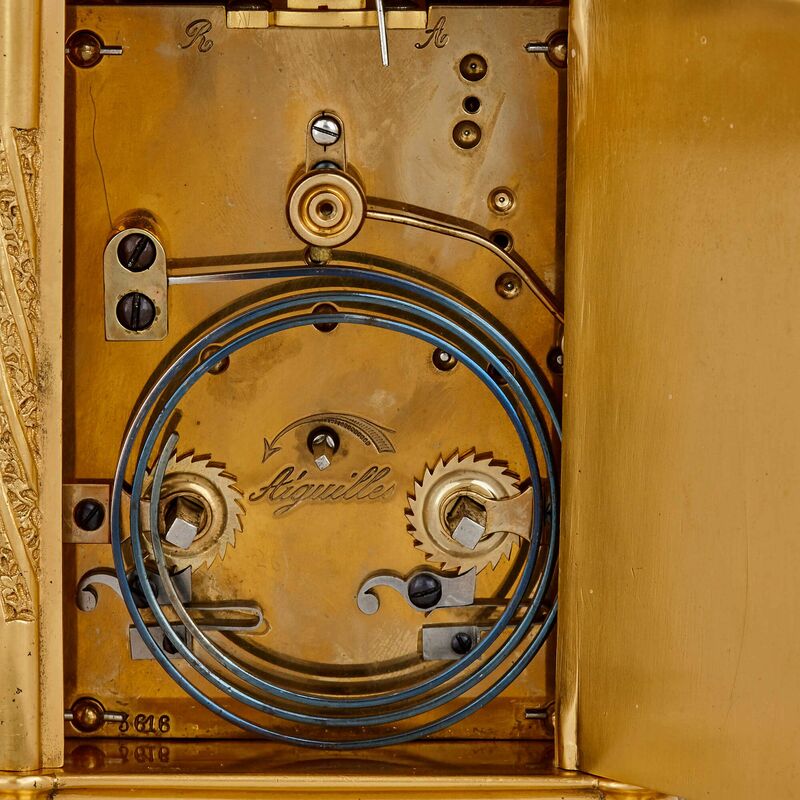 The reverse of the clock opens on a hinge to reveal the movement, which is signed to the centre 'Aiguilles', being the French maker of clock movements, who specialised in carriage clocks. The dial is also marked with the letters 'R' and 'A' and the number '3616'. 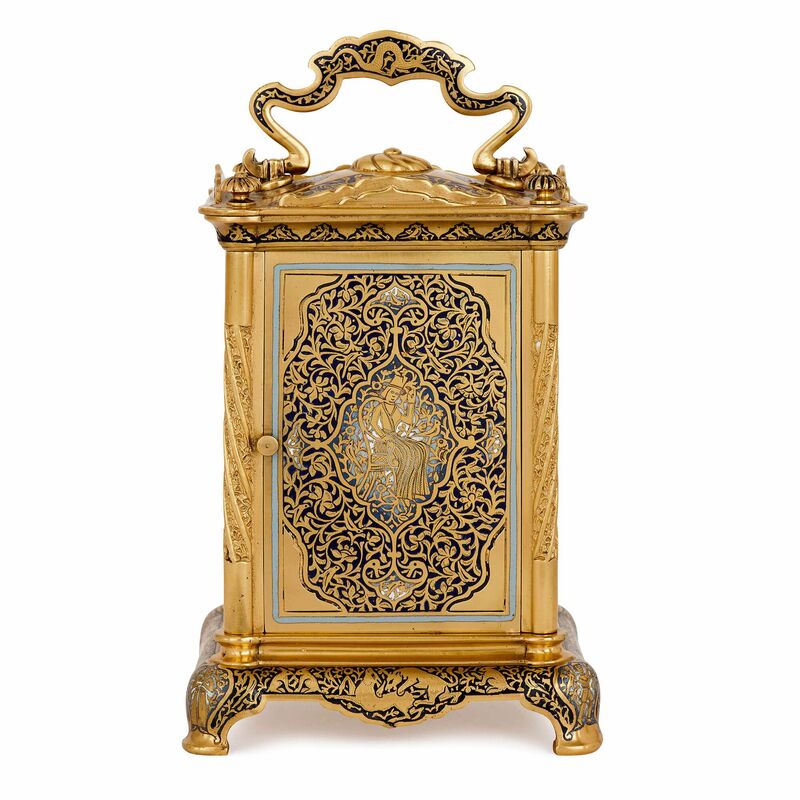 The clock is set upon an enameled ormolu base with depictions of exotic animals, including elephants and wild cats. The base stands on four feet, which are further decorated with figural images.